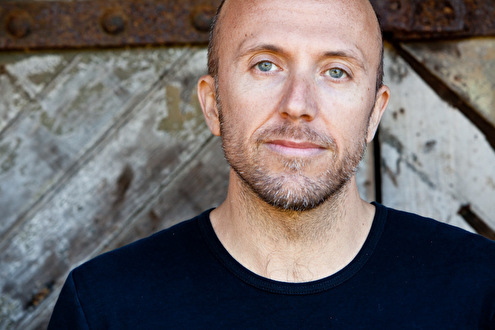 In the decade that has passed since Lee Burridge discovered acid house music, raided the local record shops of Bournemouth and took to the decks, his illustrious DJ career has spanned at least three continents and seen him work alongside some of the England's most revered DJ's. In 1991 the South Coast scene was no match for Lee's dexterous talents and Hong Kong beckoned with the promise of a residency that would put Hong Kong on the clubbing map. Six years later, the undisputed King of the colony was guesting at most of the big club tour parties in Hong Kong, including Cream, Ministry, Malibu Stacey and Northern Exposure. In 1993 Lee turned his attentions to the now legendary full moon parties at Ko Pha Ngan, Thailand, with his residency at the back-yard club providing an inspirational alternative to the more standard nights around. Future projects already promise to launch Lee into the DJing stratosphere and confirm his position as a face to watch on the scene. His residencies at Tyrant, both at The Bomb and Fabric, Golden and Cream continues to provide clubbers with the slick, hard, deep house, trancey, breakbeat sounds they have come to expect from him and his guest appearances at Gatecrasher, Sugarshack, United, Rhumba and Kelly's Port Rush have introduced his style to club goers all over the country. Last year Lee broadened his DJ diary horizons to take in Thailand, Ireland, South America, Ibiza, Israel and Hong Kong where international club goers have voted with their feet for Lee's driving progressive style. 2000 will see him play in Greece, Ibiza, the States, Brazil and undertake an Asian tour. In 1999 Lee honed his studio techniques with the release of his mix CD 'Metropolis' (released on Tide), which received the Compilation of The Month thumbs up in Muzik. 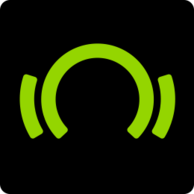 Future projects in the pipeline include collaborations with Breeder and Hybrid, a break beat track with Andy Page (who previously collaborated with Sasha), and various other remix projects including work for several other labels. With 1999 already a distant memory, the accolades Lee received - a new entry @ no. 33 in DJ Magazine's Top 100 DJ Poll, Muzik's DJ Of The Month and Mixmag's Best Up and Coming DJ, are the perfect platform to consolidate his rise in 2000 with the launch of his monthly Tyrant night with Craig Richards at Fabric and the launch of the Tyrant Compilation series on Distinctive Breaks which will showcase Lee and Craig Richards legendary DJ sets as previously seen at Space in Ibiza and The Bonaparte at the last two Notting Hill Carnivals. The Tyrant series is set to kick off in May with a series of parties stretching the breadth of the country surrounding the launch dates. Verspreid over maar liefst drie schijfjes, gunt Lee Burridge de luisteraar een kleine kijkje in zijn platen- en cd-koffer. Uiteraard slechts een kleine greep uit zijn collectie maar wel één om jaloers op te zijn. Zo blij dat deze HELD naar Rockit komt.....­Voor mij de beste sfeer neerzet Dj die er is.....­!!!!! te goed samen met steve lawler op 365mag!!! !